Wharton Country Club / Great Golf... Great Food... Great Friends! Every Tuesday from 11:30 a.m. - 1:30 p.m. Available to Members and Guests - come out and enjoy a nutritious, hot lunch buffet that is perfect for your lunch hour. "All you can eat", or "1 meat, 2 sides" options are available. Our regular menu is also available. We hope to see you soon! Come enjoy Friday Fish specials at the club. Watch for weekly Email Blasts. Saturday, April 20th - 3:00 p.m.
Bring the family and enjoy a fun afternoon at the club to celebrate Easter! Join us for our Sunday Brunch and make the club your dining destination! the first Sunday of the month from 11:30 AM - 1:30 PM. Featuring made-to-order omelets and waffles, bacon, sausage, chicken nuggets, hash browns, buscuits and gravy, fresh fruit, and more. $12 per plate. Call us at 979-532-5940 and make your reservations now. The kitchen will be closed all other Sunday's. May date coming soon - 6:30 p.m.
to enjoy our Pasta Night while you play. Unlimited pasta, salad, and bread for just $10. 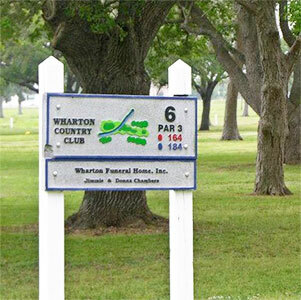 Wharton Country Club serves Wharton and the surrounding areas with fine food, recreation, meeting space, and social opportunities. The club provides comprehensive services and opportunities for physical and social well being. The clubhouse has facilities for dining, meeting, and socializing, and offers a full-service restaurant and bar. View our Menu, or come for one of our Restaurant special events. The challenging tree-lined golf course is now ranked seventh among the top 25 nine-hole course in Texas. The pool and cabana are great for summertime relaxation and parties. Our newly-renovated tennis court is ready for play. us to learn more about memberships.